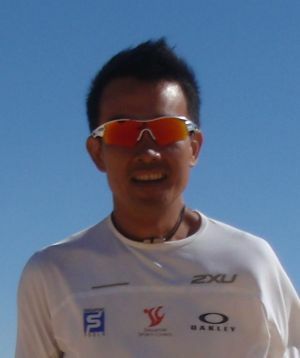 Terence Chiew is the author of Inside the Mind of an Ultra Marathon Runner. He used to be overweight and suffered from very high blood pressure. He was physically unfit and unhealthy. His arduous journey towards becoming an ultra marathon finisher started out as a simple weight management programme towards bettering his health. The programme led him to embark on his first race – a 10-kilometre race – and the rest, as they say, is history. Thereafter, he proceeded to complete a series of half marathons, marathons, Half Ironman races, three Ironman races and one of the toughest races, the Trans 333, a single stage desert race that spans 333 kilometres. Currently, Terence is the Singapore Book of Records’ holder for the longest single stage race completed by a Singaporean. In addition, Terence is also a passionate educator who has garnered more than 10 years of teaching-related experience in a renowned junior college, the Ministry of Education (MOE), and an nternational Baccalaureate (IB) school. He was awarded the Innergy Award, an MOE award in recognition f his innovation made towards improving Chinese education. Terence is currently the Director of Innovation and Enterprise and Deputy Dean Physics in an IB school in Singapore.